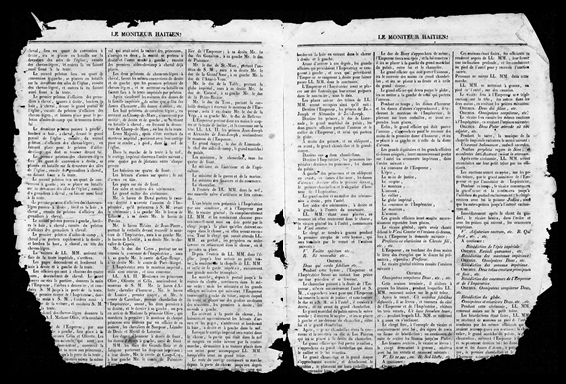 An excerpt from Bouzon’s Etudes historiques sur la présidence de Faustin Soulouque (1894). 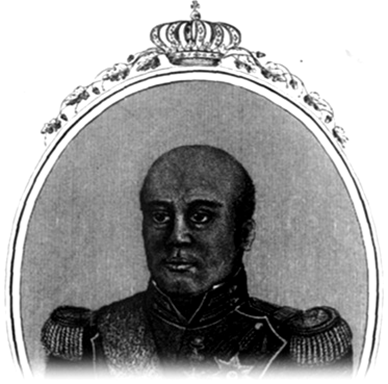 Like Boyer’s old supporters in the senate, Bouzon exhibited a similar resentment toward Soulouque, who was once seen as a lowly, dark-skinned soldier but now dared to reclaim Dessalines’s title of "emperor." Soulouque returned nearly vanquished by his campaign in the east. On 6 May 1849, he returned to the capital in triumph with the roar of cannon, the ringing of bells, and what was left of his army in rags. Even though the campaign in the east did not have the desired results, it served to consolidate the power of a despot whom the most petty egos had put at the head of the nation. Under the constitution, Soulouque was president for life. Having enjoyed all the privileges of a monarch, he now wanted to have the title[, as well]. Soulouque only understood power in one way: [he did not want to simply] control it, [he wanted] to be its sole master. Even in the worst days in 1847 and 1848, there were men in the Senate and the Chamber [of Deputies] who courageously made their voices heard. Soulouque would not stand for these remonstrances. He would not listen that in a republic it was the responsibility of the representatives of the people to defend the interests of the people. In twenty-four hours the country underwent a regime change. One day it went to sleep republican. The next day it awoke a monarchy. Soulouque took advantage of a situation that terrified the country. No voice was raised in protest against this tyranny that would only grow. When the Senate presented itself to inform him of his appointment [as emperor], a very amusing comedy played out. A crown was positioned on the head of the new sovereign, but it was made of paper and covered with gold foil. There was no time to make a metal one.